Case law governs oil and gas lessees’ obligations concerning the development of minerals. Courts have held that certain provisions are implied in the oil and gas lease, even though these covenants are not expressly stated. Presented by: Josh Neely, Senior Attorney at Encana Oil & Gas (USA) Inc.
Josh Neely is a Senior Attorney at Encana Oil & Gas (USA) Inc. where he provides legal support to all areas of the company, with a particular focus on land-related issues and acquisitions and divestitures. Prior to joining Encana, Josh worked for a large Denver law firm where his practice focused on transactional and regulatory matters in the energy industry. He has represented clients in drafting and negotiating all forms of commercial contracts related to oil and gas exploration and development. 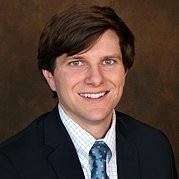 Josh has also represented clients in state and federal regulatory matters, and is experienced conducting title examinations, as well as resolving title disputes and advising on curative issues. Josh has been a practicing attorney since 2010, and has also worked as a landman throughout North Dakota, Montana, and Wyoming for a Denver-based brokerage firm. Click Here to Register - general registration will close Friday 6/15/18 (new registrations or changes to existing registrations after this date are not guaranteed but will be considered by contacting Erica Honeycutt).